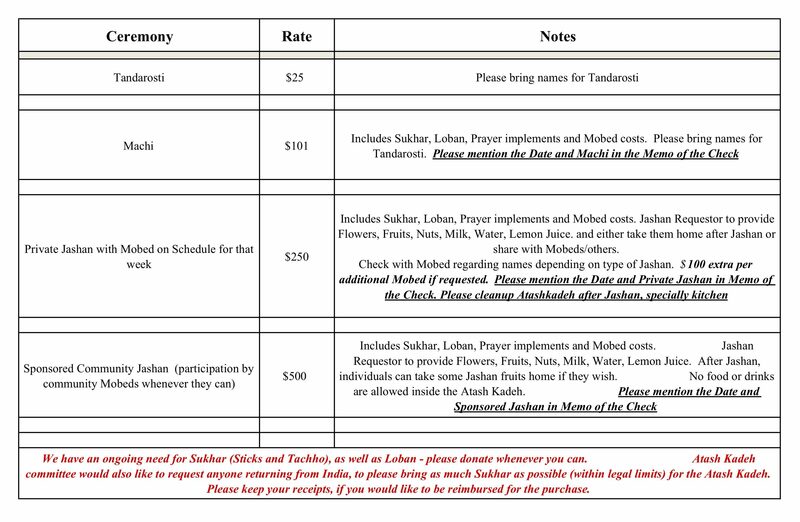 The ZAH Atash Kadeh committee is pleased to announce the schedule for the Boye ceremony and the timings that the Atash Kadeh will be open and have a Mobed present. 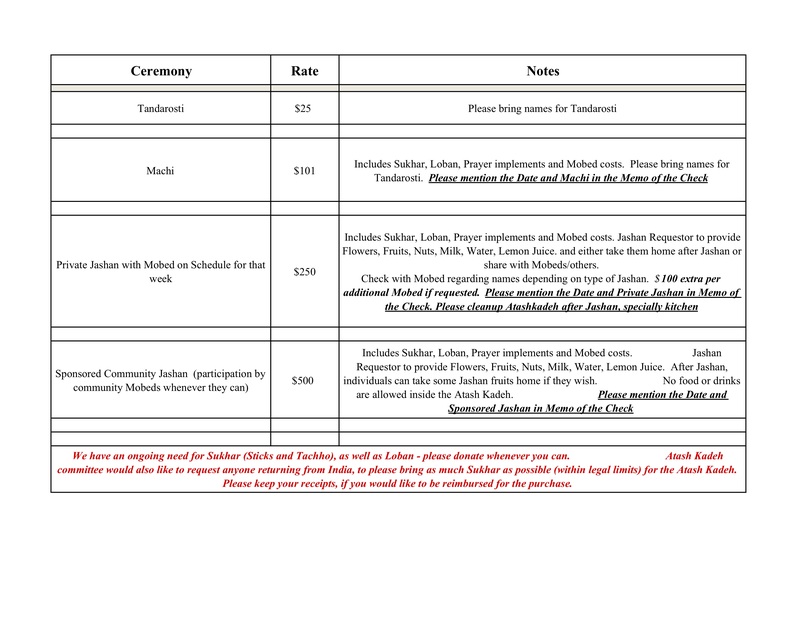 Please visit this page often as we will add more details and update the schedule. Atash Kadeh will be open from 10:30 a.m. to 1:30 p.m. and 4:30 p.m. to 8:00 p.m.